Share the post "Elm Park Advisors LLP"
Elm Park Advisors LLP are a dedicated team of Investment Advisors based in Connaught Square, central London. Elm Park work with high-net-worth individuals and support their clients’ financial interests in capital preservation and growth. 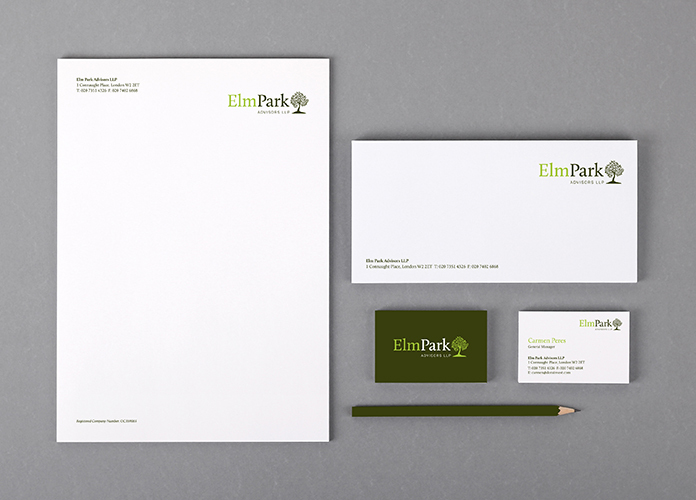 Their request was for an understated yet solid brand identity, to reflect their business profile and company ethos.